Ride the City Sydney allows you to choose between direct, safe or safer routes. Has not been updated with new local paths and so will deliver less than perfect results for some searches. Generally a very useful tool. There is also a smart phone app for a small fee. Google Directions by Bike allows you to find bicycle routes within Google Maps. 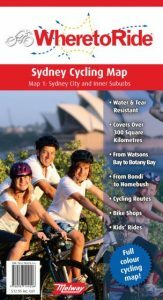 In August 2012 Google announced that they had added turn-by-turn directions and voice-guided biking navigation to mobile devices with Google Maps for Android.Cycleway Finder published online by the NSW Roads and Maritime Services shows shared paths, on-road bike lanes and suggested routes across NSW. This map shows the cycleways around Prospect Reservoir and Orphan School Creek, and Mirambeena Regional Park and Chipping Norton Lakes. It also has useful tips. 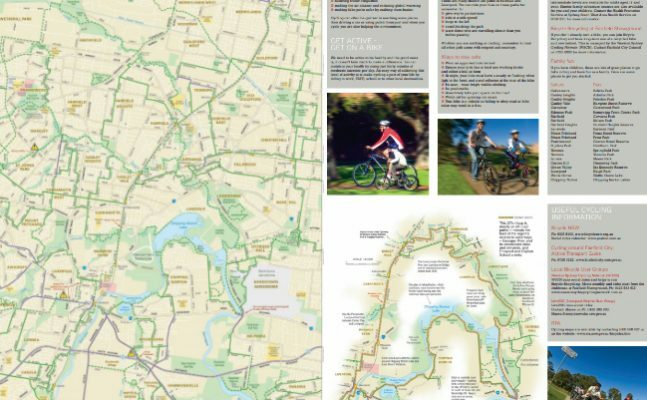 This large regional map shows the cycleways from Eastern Creek across to Parramatta in the north and from Edmonson Park across to East Hills in the south. Error: Error validating access token: Session has expired on Wednesday, 06-Feb-19 02:49:57 PST. The current time is Friday, 26-Apr-19 02:27:50 PDT.